Growth By Design / Social Media / Struggling To Start Conversations on Facebook? This Is The Facebook Messenger Marketing Tool You Need! Struggling To Start Conversations on Facebook? This Is The Facebook Messenger Marketing Tool You Need! How Can I Increase Audience Engagement with Facebook Messenger Marketing? It’s no secret that the organic reach of a Facebook post is slowly decreasing and has been doing so for a number of years. In fact, Facebook themselves reported, in 2012, that “pages organically reach about 16% of their fans.” Further reports are still being written by Huffington Post and HubSpot to confirm this. So if your public posts are only reaching a small fraction of your audience’s News Feed, you need a way to guarantee the message reaches your audience. In need of a marketing MOT? At Growth By Design, we provide effective marketing solutions to help your business thrive in the digital age. Want to know more? Get in touch now! Facebook Messenger marketing is, in my opinion, possibly the most underused and forgotten marketing tools on social media. 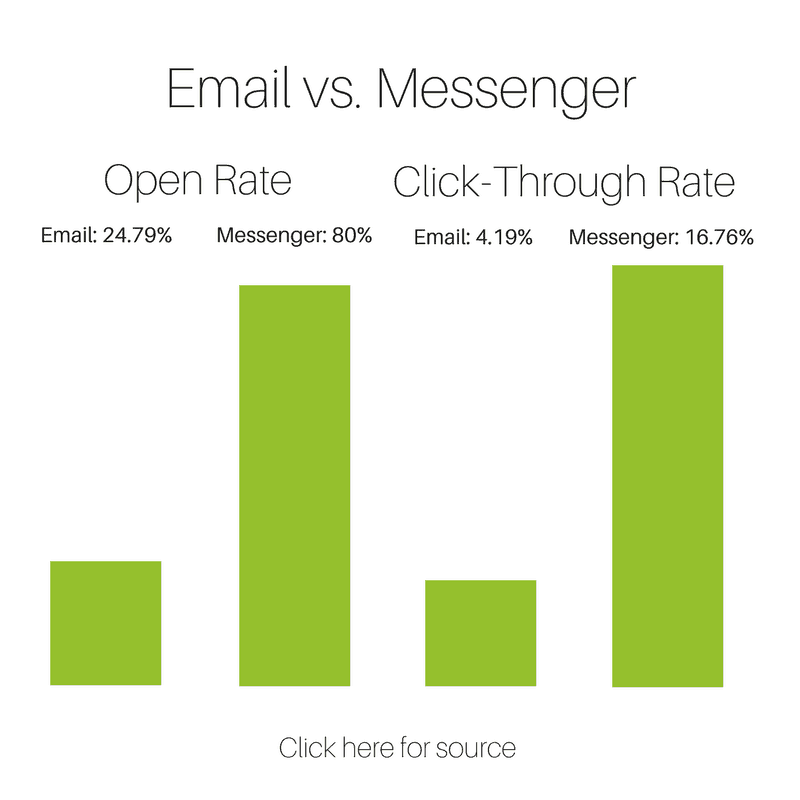 I rarely ever see it used, yet a simple message has a whopping 80% open-rate and achieves 4-10x more click-throughs than the traditional email. Why? Because people relate spam to email. Let me put it to you this way: How many spam emails do you receive from businesses each day? And how many spam Facebook Messenger marketing messages do you receive each day? At this stage, I want to introduce you to ManyChat. 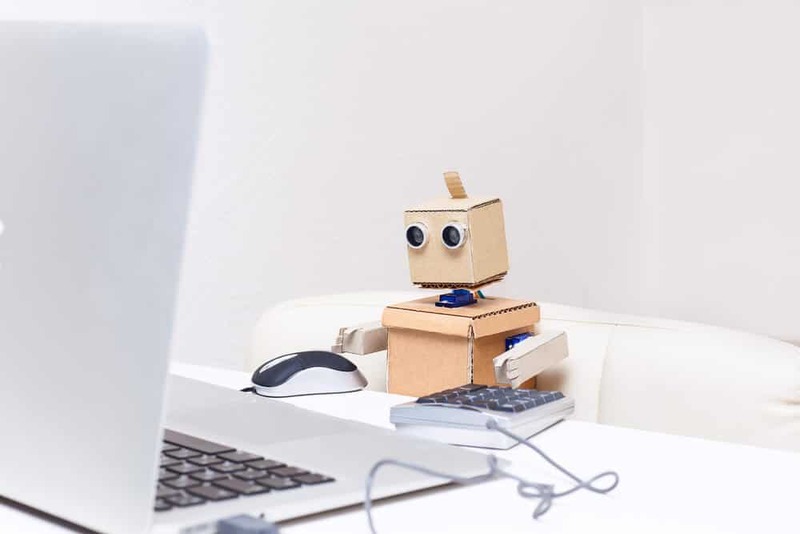 This nifty little tool can create bots to handle your Facebook Messenger marketing, sales and customer service. If you’ve booked a room at a hotel or table at a restaurant online before, you may have encountered a bot during the process. ManyChat allows users to easily create bots in a matter of 2 minutes, using a drag-and-drop builder rather than coding. The simplest form of using ManyChat is for automated messaging: Setting up a sequence of messages to be sent to a new or existing follower over a period of a few days/weeks. Want to learn more about using the app? Watch the video to the left to see how to set up a popup for Facebook Messenger on your website. Since Sephora implemented a Facebook Messenger bot for makeover bookings, their booking rate increased by 11%. Many customers have found booking on Facebook easier than Sephora’s own dedicated app! During New York’s Fashion Week, Tommy Hilfiger used Facebook Messenger bots for people purchasing items directly from the runway. An amazing 87% of users actually returned to use Messenger to communicate with the brand again. The fashion giant reported that Messenger brought in over 3 times the amount of money than their other digital channels. Facebook Messenger marketing is the future. With the launch of Messenger 2.0 in April this year, it’s obvious that Facebook is pushing for businesses to start making use of this part of the platform. Are you prepared to beat the competition and join the online bot revolution? George Wakerley - Digital & Content Deputy Team Leader at Growth by Design. George discovered his passion for digital marketing whilst studying music at BIMM Brighton. He is always aiming to match a high level of creativity with the right level of relevance. If George is not at his computer writing blog posts, you can find him playing all over the country with his band, participating in Parkrun or riding his motocross bike. Our vision is to enhance the reputations, efficiency and profitability of small and medium businesses across the world through the provision of supportive, powerful, cost effective and modern marketing support services in a way which gains them local recognition but with worldwide presence.